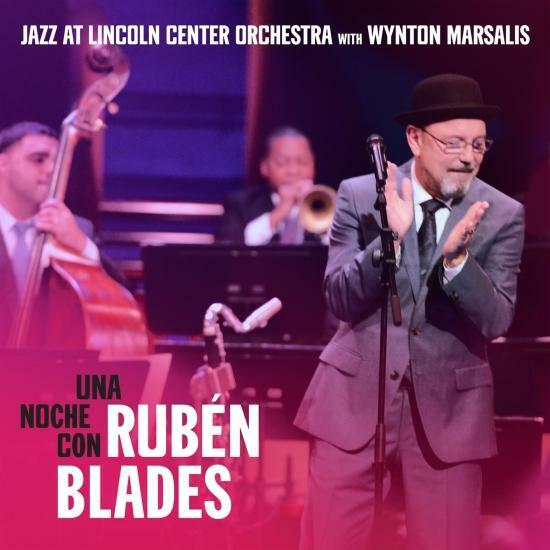 Rubén Blades — the salsa giant and nine-time GRAMMY® Award-winning singer, songwriter, actor, and activist — collaborated with the Jazz at Lincoln Center Orchestra with Wynton Marsalis in 2014 for an extraordinary series of performances on the Jazz at Lincoln Center stage. On these very special style-straddling, Americas-spanning nights, the worlds of salsa and swing collided. Blue Engine Records today announced this historic concert, which the New York Times called “radically beautiful,” will be available as an album release entitled Una Noche con Rubén Blades on October 19, 2018.